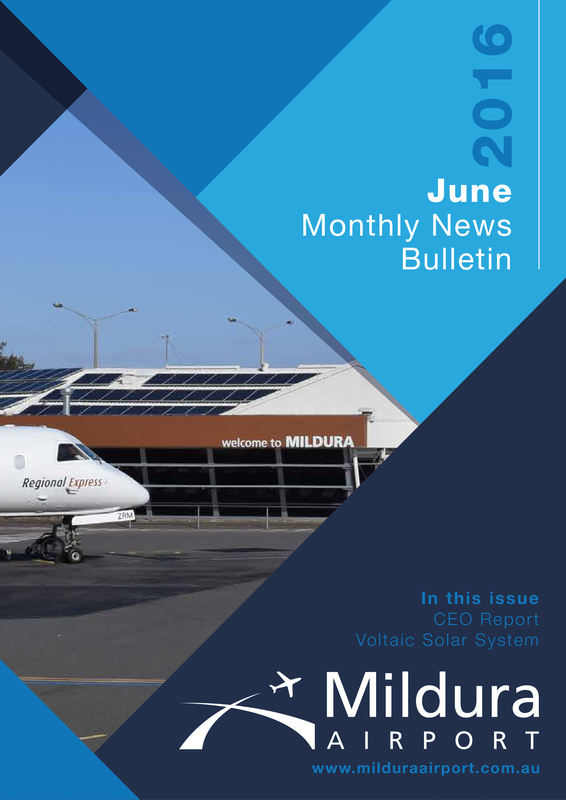 Since our last newsletter, there has been some very positive achievements for the Airport. The grant agreement with the Federal Stronger Regions Fund has now been signed and we are moving forward with that project to finance an overlay of the main runway. We are also currently in discussions with Victorian State Government for funds to achieve the extension of our main runway in conjunction with the overlay project and very hopeful of a positive outcome. Installation of our solar initiative is now complete and we are looking forward to be being able to throw the switch to connect. The provision of Solar Photo Voltaic power generation will reduce our terminal operating costs and our carbon footprint. 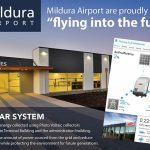 The weather of the past few weeks has produced several diversions of aircraft into Mildura that were unable to land in either Melbourne or Adelaide. Those diversions highlight the strategic importance of Mildura in the Aviation network and the fact that we can accommodate the larger domestic aircraft types and provide fuel and full security services highlights the importance of Mildura to the Airlines and reflects justification of the runway upgrading that we are in the process of delivering. We now have connections on social media that are proving to be a well patronised with an ever increasing number of contacts. We invite you to visit and comment. That’s all for the moment. Till next time.